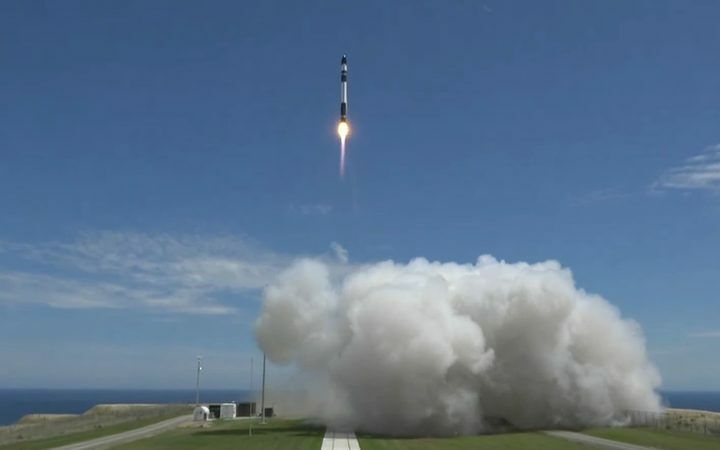 A test flight launched from Mahia Peninsula put the 17-metre Electron booster into orbit - the first time this has been done from New Zealand. The rocket was also carrying three mini-satellites that have gone into orbit on behalf of paying customers. The satellites are an Earth-imaging satellite for Planet, and two Lemur-2 satellites for Spire, for weather and ship tracking. Rocket Lab's chief executive Peter Beck said today's launch ushers in a new era of access to space. He said it was a momentous occasion. "Today we debuted and successfully put in orbit the very first small launch vehicle that the industry has ever seen, we've ushered in a new era for access to space." Mr Beck said as a result, they were hoping to get commercial launches underway shortly. Today's successful launch will do wonders for the space community in New Zealand, according to an academic. Professor Richard Easther is the head of Physics at the University of Auckland. He said the successful launch meant New Zealand was able to join what he called an exclusive club, that usually belonged to the super powers like the USA and Russia, when it came to space activities. He said the launch would enhance the space community in New Zealand, as usually people who have an interest in space had to travel abroad. "I think we're looking kind of at the beginning of a boom time. Like if you're in the film community and the Lord of the Rings rolls into town, it's potentially enormous for New Zealand and it will bring people to New Zealand who want to get involved with space." Yesterday the company tried six times to launch its rocket, with one attempt stopping 60 seconds before take off due to a boat entering the exclusion zone downrange from the launch pad. The launch was later scrubbed as high winds passed over the Mahia Peninsula.